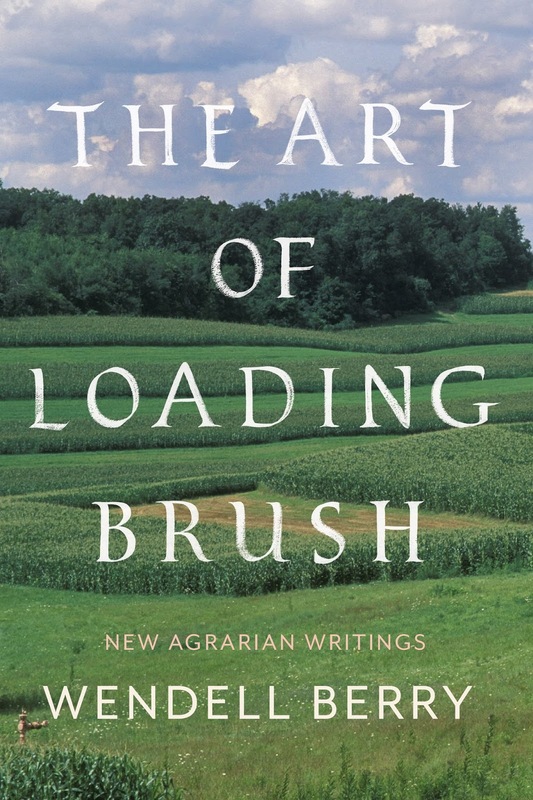 The Art of Loading Brush: New Agrarian Writings, the latest collection of writings by Wendell Berry, isn’t a perfect book, nor the perfect expression of his powerful vision of what constitutes a good life or a good community. In particular the final, essentially autobiographical stories in the book don’t really work, I think, as persuasive pieces of writing. But a man of such enormous accomplishments, and of such influence on behalf of localist truths, doesn’t need to hit it out of the park every time, especially not at age 83. And in any case, each of the three lengthy critical essays which form the first part of this collection are worth the price of the book alone, so you should pick it up, right now. First, a response from the Republican majority in the Kansas state legislature to the recent arguments about gun violence and America’s schools. Their proposal: encourage teachers to carry guns to defend themselves and their students from mass shooters (and make sure that the identity of armed teachers is kept secret). Problem: the last time the Kansas legislature attempted this, in 2013, the insurance companies which underwrite the security of Kansas’s public schools said they would not be able to justify renewing policies at existing rates if such a bill became law. The proposed solution, in 2018: simply make it illegal for those companies which insure Kansas schools from adjusting their policies as a consequence of gun ownership. What do these two ostensibly very different cases–the usually conservative cause of gun rights in the first, the usually liberal cause of public education in the second–have in common? Both present, though probably not on first glance, a challenge to what Berry calls in this essay the reigning doctrine of “inevitability,” which is “an economic and technological determinism, as heartless as it is ignorant” (p. 51). 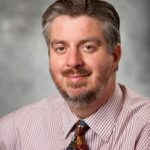 It is the assumption that, of course, in the insurance marketplace, in the budgeting process–in anything related to the presumably inevitable logic of the capitalist economy, really–there is always a (presumably) “natural” way that things are going to have to work, and no amount of political grandstanding can ever make a difference. Except, of course, for those times when, as peoples’ awarenesses expand and their preferences become refined, it does. From its beginnings, industrialism has depended on a general willingness to ignore everything that does not serve the cheapest possible production of merchandise and, therefore, the highest possible profit…. [Yet] we must acknowledge real needs that have continued through the years to be real, though unacknowledged: the need to see and respect the inescapable dependence even of our present economy, as of our lives, upon nature and the natural world, and upon the need, just as important, to see and respect our inescapable dependence upon the economies–of farming, ranching, forestry, fishing, and mining–by which the goods of nature are made serviceable to human good (p. 36). Berry’s decision to hang this act of grand intellectual substitution on industrialism is of a piece with the strongly reactionary tone which these essays occasionally take. (In the collection’s second essay, “Leaving the Future Behind: A Letter to a Scientific Friends,” a grouchy complaint about all those who would invoke “science” superficially to support their preferred causes, he casually wonders if the possibility of achieving “a reasonably coherent, reasonably self-sufficient and self-determining local economy” for the long term wasn’t gravely harmed by the advent of “oceanic navigation” by which humans “traveled the globe”–pp. 83-84). But such contrariness aside, he has a point. For Berry, the industrial process is essentially about turning the productivity of places and persons into economic units–“We have…been turning our country into an economy as fast as possible, and we have been doing so by an unaccounted squandering of its actual, its natural and cultural, wealth” (p. 23)–and is the complete opposite of the localist and agrarian sensibility, which he presents as understanding wealth in association with “the freedom and independence that come with dependence on a parcel of land, however small, that one owns and is owned by or has at least the use of” (p. 47). That kind of wealth is not measured primarily by profit, but by “provision,” a concept Berry turns to repeatedly in this essay. 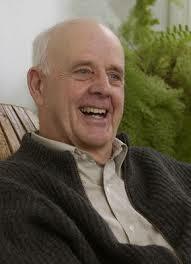 He writes of the “need to provide: to be living a responsible life, which is to say a responsible economic life” (p. 35). All of this comes together, when one looks at the essay as a whole: the work of farming, ranching, mining, lumbering, artisnal manufacturing, etc., are all 1) intimately dependent upon an appreciation of the natural environments within which they are conducted, as well as 2) directly related to the provisioning of human beings. Engaging in such work thus allows for a sense of fulfillment and wealth in the way an industrial economic mindset does not, since the latter turns upon price and productivity, and not upon the–in Berry’s view–moral priority of responsibly providing for, or collectively participating in providing for, oneself and one’s place (places being defined both naturally and in terms of human community), by patiently bringing needed goods out of the bounteous, demanding, natural world. When the industrial world–and the expanded reach, access to resources, and opportunities for monetary wealth and excess consumption which it undeniably brought to far more human beings than had ever previously been the case in human history–caused many to subject agriculture (as well as many other of the fundamental tasks Berry associates with the agrarian mindset) to the model of economic profit rather than community provision, the moral achievement of the agrarian economic conception was put in jeopardy. The real heart of the essay, then, comes when Berry gives us an analysis of, and mourns the loss of, one form this conception took: namely, the Burley Tobacco Growers Co-operative Association, an arrangement among tobacco growers in Berry’s home state which began in 1921, took new life–and, in Berry’s view, best performed its careful balancing act–under the New Deal’s Federal Tobacco Program beginning in 1941, and was strongly associated with the Berry family through its entire existence until the end of the Program–and thus the end, in Berry’s view, of the Association’s essential role–in 2004. For a time, Berry writes, the Association “did preserve a sort of balance between industrialism and agrarianism,” one which “prevented their inherent difference and opposition from becoming absolute” (p. 47). The traditional home economies of subsistence, while they lasted, gave farmers…hope of surviving hard times. This was true especially when the chief energy source was the sun, and the dependence on purchased supplies was minimal. As farming became less and less subsistent and more and more commercial, it was exposed ever more nakedly to the vagaries and predation of an economy fundamentally alien to it. When farming is large in scale, is highly specialized, and all needs and supplies are purchased, the farmer’s exposure to “the economy” is total (pp. 40-41). But industrial capitalism, for good and for ill, had by the early decades of the 20th century utterly transformed the responsible agrarian economies of America’s past, making markets abstract and global. So how to deal with already constant, and now technologically-increased and market-intensified, push towards overproduction? Not through simply subsidizing farmers in their overproducing practices (according to Berry, his father referred to “direct subsidy payments” as an “abominable form of regimentation”–p. 45). On the contrary, rather than “allowing” farmers to lock themselves into a rat-race of subsidized overproductivity, the independence of the farmer would be achieved through carefully calculated, democratically ratified, and strictly imposed limits. 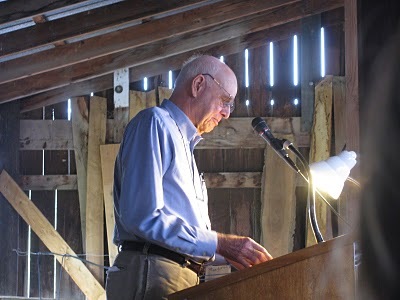 As Berry thoughtfully, and movingly, describes the Association’s careful work, each year every participating farm was allotted, on the basis of their past history of production, a certain acreage they would be allowed to farm. On that limited acreage, tobacco would be produced that would be sold at an agreed upon price–“fair prices, fairly determined…with minimal help from the government.” The point was not to subsidize farmers without concern for the consequences of their work, but rather to make use of their work in a controlled way, so as to achieve real “parity,” which Berry describes as the overall goal of the program. With all (or nearly all) tobacco farmers participating, the Association could oblige buyers to “bid a penny a pound above the support price”; when such buyers, or enough such buyers, could not be found, government assistance would take the form of a loan to the farmer, to cover their losses on that particular crop, which the Federal Tobacco Program would take, and which would be bought and stored by the Association, to be resold later and which, in the meantime, would affect the calculations for allotted acreage for the coming year. And so the program continued for decades–it made no one rich, but it maintained a way of life, even enabled that life to flourish. In 1940, over a third of the farmers in the Association were tenant farmers; by 1970, so many had become farm owners, thus solidifying their place in their communities, that tenant farming described less than 10 percent of participants (pp. 44-46). So what happened? Well, many things, not the least of which was the growing social and medical consensus against tobacco use in the America (which Berry himself agrees with; while he defends the benefits which the controlled management of the crop brought to the world he grew up and developed his agrarian convictions within, he makes no defense of the crop itself). But perhaps more important was the individualizing temptation of industrialism. When “industrializing members” pushed the Association in 1971 to permit “the lease and transfer of production quotas away from the farms to which they had been assigned,” this allowed for the “accumulation of allotments…into very large acreages dependent more upon extensive technology and migrant labor,” and thus ultimately a “reduced agrariansim” (pp. 47-48). In other words, the siren song of growth–of profit! And why shouldn’t people be free to seek profits, to choose to maximize their holdings, minimize their costs, and grow their position, both economically and otherwise? Who is to say that some of these farmers might have tired, as the years went by, of the rewarding but limited and labor-intensive world of work that they’d been guaranteed a place in, and wanted to buy their way out? Or perhaps, more simply, they had a large family, or children with diverse interests, and they believed they needed greater incomes–rather than mere “parity” with their neighbors–to satisfy their needs and hopes? That’s all part of the American dream of freedom, isn’t it? Berry, predictably, is unconvinced. “To limit production as a way of assuring an equitable return to producers is assuredly an abridgement of freedom. But freedom for what?” (p. 41). 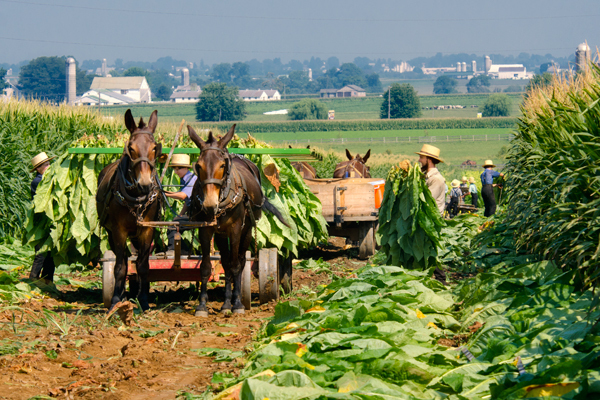 The tobacco farmers of Kentucky and elsewhere, close to a century ago, realized (as did many thousands of other late 19th-century and early 20th-century populists, socialists, and radical reformers) that their agrarian way of life required resisting the supposed “inevitability” of the industrial economy, and developing a plan which stipulated different rules, different priorities, and different ends. Those ends may have been based on a deeper, more natural “inevitability”–but still, in so articulating them, and enforcing them, they presumed some real independence on the part of those farmers, sufficient to choose to support a way of life that they agreed among themselves to be valuable and virtuous. No, they couldn’t guarantee themselves that they could maintain that way of life and at the same time enjoy the profitable “freedom” promised by the industrial economy (though such results would only come to those farmers which survived long enough to buy out all their fellows, of course). But they could choose to value their community, their culture, and accept the costs of doing so–and even, as human creativity demonstrates, distribute those costs fairly, and allow for some genuine flourishing along the way. There is much in this essay I haven’t touched upon. (The way Berry connects all of the above to a contempt for rural people, and the combined decision of American business and America’s government to get rid of as many farmers as possible, in the name of efficiency, is worth pondering–and his anger at politicians both Republican and Democratic is pleasantly splenetic.) But its warning about the false, paralyzing inevitability of industrialism and the global economy is, I think, vital. Because, you know, you can actually fully fund public education without cutting social programs, if the community democratically decides to do so–it just has to accept that it will require that new taxes be levied. And you can find a way to allow guns in the public schools if the community really prefers that–it just has to accept that additional insurance costs, to avoid unfairness, be borne by the people as a whole (which, again, will probably mean more taxes). As Berry documents at length, it simply isn’t true what President Bill Clinton claimed, that “the increasing productivity of agriculture” made inevitable “the shrinking of the farm sector” (pp. 49-50). The success–for several decades, anyway–of the Burley Tobacco Growers Co-operative Association proves that. No, that was a choice–one that followed the assumptions made by thousands of individuals, to be sure, but also assumptions which were enabled by powerful interests, interests which found the agrarian ideal useless and irrelevant in an industrial age. In the end, Berry’s mournful story teaches us that it is not utopian, not ridiculous, to insist upon a different economy than a profit-driven capitalism, a different community than one separated by an industrially determined notion of individual freedom from a sustainable and local engagement with the land. It will take time to do, it will be complicated, it will probably not last forever, it will not satisfy everyone, and in the meantime it will have costs. But to take those caveats as proof that a thing cannot be done, that the economic and technological logic of growth is simply and always inevitable, is to blind oneself to a deeper set of possibilities: the possibility of taking collective responsibility for one’s place, emphasizing provision over profit, prioritizing public goods and public safety over corporate balance-sheets, and working out, one bit at a time, in Berry’s words, “a harmonious balance among a diversity of interests.” When it is done right, he concludes, for however long it lasts, “it is a grand masterpiece to behold” (p. 56). If anyone is interested, myself and another defender of Berry have gotten ourselves into a long, rambling, argument on my blog with a friend who finds the arguments of Berry probably racist, and in any case unrealistic, oppressive, and just plain unnerving. It’s been a fun, respectful discussion. Start here, if you’re interested.